Submitted by hillbillysavants on Wed, 1969-12-31 19:59. In the current edition of Knoxville Voice, Lisa Slade takes a look at the current state of moonshine in Appalachia. There's a lot of pretty well-known history, especially for those familiar with the region, but the assessments of moonshine's current cultural role is worth a quick read. Meanwhile, I want to bring your attention to a home brew of a different sort. WUTK, the University of Tennessee's student-run radio station, is offering up a very special collection of music. 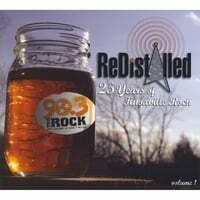 As a means of generating some much-needed funds, WUTK has produced Redistilled: 25 Years of Knoxville Rock. Basically, it's a great collection of current Knoxville music luminaries covering tunes from local bands of yesteryear. Knoxville has always had a thriving yet under-appreciated music scene, and this disc celebrates it as much anything you can find in one place. If you want a copy, order it from either CDBaby.com, or get it at The Disc Exchange. For a closer look at WUTK, check out Mike Gibson's article "College Radio Blues" at Metro Pulse. From 1951 to 1965 Dr. Thomas Jugarthy Hicks began to quietly offer babies for adoption from his Hicks Community Clinic in McCaysville, GA. Quietly, because the clinic he’d been running since the mid-1940s was not a licensed adoption agency. Hicks cared for the mundane health issues of local farmers and townspeople in the front of the clinic, while performing abortions, which were illegal during that period, in the back rooms. Law or no law, he advertised his abortion services on phone booths, bus stations and bridges. Women came by bus, car and train to pay $100 to "fix their problem." A small airstrip was built in nearby Ducktown so the prominent could fly their daughters in from Atlanta and Chattanooga for an abortion. His black market baby-selling ring, which may have ‘moved’ as many as 200 babies with no questions asked, relied on young, poor women from North Georgia and Eastern Tennessee. They’d come to him for an abortion, and he persuaded some to carry the babies to full term. The women would reside in the clinic for a few months, or the good doctor would provide a room for them at his farm, or in the New York Hotel in adjoing Copperhill, TN, or in his apartments in the telephone company building. Hicks knew he could count on word of mouth to bring in the baby buyers. The Fannin County Courthouse records list 49 babies, for example, who went to Summit County in Ohio. All the fathers who bought them worked in the Akron tire companies, except for a Cuyahoga Falls doctor who bought two babies. All the sales were arranged by a West Akron Goodrich employee who bought four babies for herself. All of them paid up to $1,000 for a baby no one could trace back to its mother. Hicks made sure the birth certificates listed the people adopting as birth parents. The doctor kept no known records of the birth mothers, who discreetly vanished. Thomas Hicks was no stranger to shady dealings. After getting his medical degree from Emory University in Atlanta in 1917, he moved to Copperhill, TN, but lost his medical license and served time in federal prison for selling narcotic pain killers to a veteran working undercover for the FBI. While incarcerated, he studied a lung disease that kept copper miners from living past the age of 40. Once out, he was hired by the Tennessee Copper Co. to treat miners. The only problem was, he filed more claims than there were miners with the disease. After he was fired from that job, he opened up the Hicks Community Clinic in McCaysville. Once a baby was available, Hicks wasted neither time nor words with his prospective buyers. "You have 24 hours to come or I call the next person on the list," he's reported to have said to more than one client. Hicks warned his baby buyers not to be picky. If you told Hicks you only wanted a boy or you wanted a girl, you could forget about getting a baby. It may never be known how many illegal adoptions were conducted by Dr. Hicks, who was stripped of his medical license in 1964, but never jailed. He was, after all, a member of the Copperhill Kiwanis and the Adams Bible Class of the First Baptist Church (to which he donated a Wurlitzer organ). He was known to give free medicine to the very poorest in town. He made house calls to those who couldn't otherwise get to his clinic. Dr. Thomas Hicks' abortion clinic was an open secret tolerated by a town that appreciated the bulk of his medical contributions. "He didn't perform any services that anyone didn't request,'' noted local resident Marlene Matham Hardiman, who once rented an apartment from Hicks. 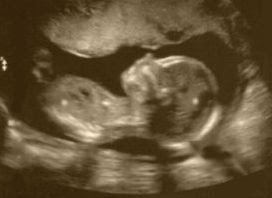 The court papers disbarring him made no mention of the black-market babies. The abortion charges against him were dropped, and he continued practicing for a time thereafter. Thomas Hicks died of leukemia in 1972 at age 83. His lawyer, nurses, wife and son are dead. His only living relative, a daughter, lives in seclusion in North Carolina. 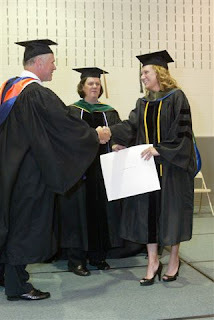 On May 18, 2008 the University of Appalachia College of Pharmacy awarded its first degree to Robin M. Absher of Raven, Virginia. Ms. Absher received her doctorate of pharmacy degree from Frank M. Kilgore, Chairman of the University's Board of Trustees, and Dr. Eleanor Sue Cantrell, President of the University and Dean of the College of Pharmacy. Ms. Absher joined 66 of her classmates who were also awarded degrees during the momentous ceremony. Every member of the inaugural class had received at least one offer of employment at the time of graduation, and Mr. Kilgore estimates that over 80% of the graduating class will accept positions working in medically underserved communuties in Central Appalachia. Most graduating class members have already accepted employment offers, or will further their training in residency programs. According to Mr. Kilgore, who was instrumental in the founding of the University of Appalachia, the graduation ceremony was the fulfillment of a dream and was a "watershed event that will be of be of huge importance to generations to come as the history of our school is written". Mr. Kilgore also expressed thanks to others who had worked toward the dream's fulfillment: associate deans Dr. Susan Mayhew, Dr. Chuck Bresse, and Whitney Caudill; and Dean of Institutional Development Terry Kilgore. These individuals deserved special thanks, according to Chaiman (Frank) Kilgore, due to their "sustained and skillful efforts toward program development, accreditation, recruitment, teaching, event organizing and fundraising" for the new school. The University of Appalachia School of Pharmacy is located in Oakwood, Virginia. If you would like to learn more, visit the School's website here. The latest episode of Podcast Appalachia is now available! 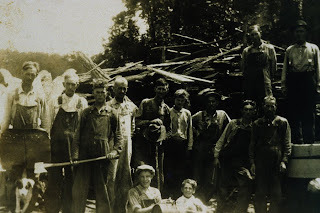 In this episode I discuss the musical heritage of Appalachia, who influenced this heritage, and how numerous genres of music (including rock, country, blues, and others) owe a dept to Appalachian musicians. You may listen here or view a transcript here. It only happens twice a year, and WDVX needs you. Twice annually East Tennessee's Own WDVX ("...probably the best radio station in the world." -Oxford American) appeals to its listeners for financial support - and that support is absolutely vital. If you've not listened to WDVX before, go ahead and stream it live now. If you can't listen right away, know this: WDVX is one of the most important keepers of Appalachian culture that our region has, truly an irreplaceable asset. For that we should be thankful, but more than being thankful we can simply enjoy WDVX. It's just that good. I won't go into all that's good about WDVX here, as I've been through that on HS before. If you listen to the station, you know how important it is to keep this great music going. If you haven't, please acquaint yourself with what is nothing short of a cultural treasure, and consider a pledge of support. In fact, I'll be manning the phones and making appeals for support this evening from 4-7 pm. Submitted by The Modern Gal on Wed, 1969-12-31 19:59. I have a confession to make. All the posts you've seen posted on The Modern Gal in the past three days I prewrote on Thursday so that I could have a bit of a mini-vacation from blogging. So today, I just plain forgot to blog over my lunchtime. I'm a bad blog proprietor. So, to kick start this week, here's a great tip from Real Simple on how to keep track of the oodles of passwords you need to operate on the internetz. I wish I'd seen this sooner before I managed to lock myself out of the online access to my Target Card account trying to remember what password combination I'd given it. Swimming under the Cascades of Giles County, Virginia provides instant relief from the two mile hike in the summer heat. It was astonishing and exciting to hear about the new publication from Blue Ridge Outdoors about some deep issues in our present Appalachian backyards. The two main articles this month brings about more awareness to the environmental and social strains applied to the mountains of West Virginia and Virginia. Thank you so much Blue Ridge Outdoors for taking this chance to at least cover what is going on. Read the articles from the website here or pick up a copy for yourself. "From some long-forgotten source, I heard that June beetles made a sweet sound while flying around. I loved music, and the method to acquire this living music box was to fasten a long thread to one of the bug's hind legs. 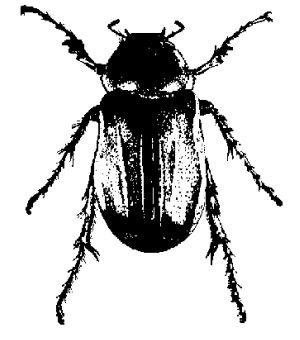 "Now, June beetles are about half an inch across and three quarters of an inch long. The ones in the South are dark green on the back side and have an armor-like covering over their undersides. They feed on fennel and are harmless. "One day, I chased down a June beetle and brought it in. It was hard to hold. That bug clawed me with its sharp toes and rooted with its sharp nose. But I held on for dear life and persuaded Mother to tie a thread on its hind leg. She wasn't too anxious to oblige me, but finally the job was accomplished and I took my musical bug outside to test it out. "The ground around the house was level, so I chose a spot where I could turn my bug loose. It gladly took off, and I ran after it, holding on tight to the thread. The bug made a pleasing sound that was music to my ears. The sound that June beetle made—along with the Jew's harp and harmonica—was the one source of music my young ears had ever heard. "Soon the bug grew tired and sat down. I realized the thread might hamper its movements, so I waited while it rested. Still anxious to hear more music, I urged it to fly. As quick as lightening, the bug took off with me pounding along behind it. I was thoroughly enjoying the performance until the thread slipped off. With mixed emotions, I watched my music box disappear in the distance. "I felt bad over my loss and set about repairing it. I found another June beetle, but somehow I didn't like this one quite as well as the first one. Just the same, I hurried into the house to have Mother tie a thread on its leg. This time Mother openly expressed her dislike for such activities. Nevertheless, with strong urging on my part, she tied the thread once again. I took the new June beetle outside and let it fly as I had the old one, but the knot in the thread was too loose and slipped off. This bug also flew away, heading due north. It didn’t slacken its speed for even a moment." From a Parks family history compiled by Lillian "Lilly Ann" Parks Adams (1880-? ), at Capitola, CA, 1949-50, when she was 70 years old. She was born in Wayne County, WV, which borders Kentucky and Ohio. The story is to the best of her knowledge as a four-year-old child, and from family retellings. 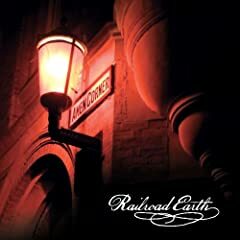 Review: Railroad Earth's "Amen Corner"
I first heard Railroad Earth a few years back, soon after the release of the band’s quasi-demo, The Black Bear Sessions. Having no clue what to expect, I popped the disc in my car’s CD player. It scarcely left that spot for an entire summer. Subsequent releases and relentless touring since then has earned Railroad Earth critical acclaim, endless comparisons to the Grateful Dead, as well as a dedicated following that is likely divided into two basic categories: Bluegrass fans that don’t mind the occasional trip out onto the experimental limb, and jam band fans that also dig a little bluegrass. When at last I got hold of the band’s forthcoming release, Amen Corner (June 10, SCI Fidelity Records), I was naturally eager to hear the latest work of one of progressive bluegrass’s finest ensembles, and the first track didn’t disappoint. With its piddling, quiet intro that only masks the loud, upbeat tune that it is, “Been Down This Road” displays the remarkable inventiveness that has gotten Railroad Earth this far. What follows is largely a hit-and-miss effort. Some songs simply fall flat in spite of the band’s always-masterful instrument work. In one case, songwriter Todd Scheaffer employs the standard blues-style AABA lyric structure, something that is so done over that only the best uses of it are effective anymore. Unfortunately, Railroad Earth’s take on it falls somewhat short of that. Some tracks do achieve Railroad Earth’s delightful blend of sheer creativity and just plain fun melodies, but the album as a whole isn’t much of a showcase of it. The inclusion of horns can’t save “Hard Livin’” and “Waggin’ the Dog” seems low on willpower. Still, the sweet “Little Bit of Me” is as good as Railroad Earth gets. The stand-out musician on Amen Corner is percussionist Carey Harmon. Where many bluegrass-rooted bands that feature drums rely heavily on tip-tapping, snare, Harmon isn’t afraid to draw more on rock influences and utilize bass-heavy, thumping beats. Of course, the entire band is owed much of the credit for arranging the songs in a way that lets Harmon shine. Another aspect of Railroad Earth that cannot be ignored (and hasn’t been, as I noted above) is its similarity to the Grateful Dead. While the differences are obvious enough (string band versus rock and roll band), both act’s approaches to music are very similar. What’s more pronounced is Scheaffer’s vocal similarity to Jerry Garcia. Certain phrases are downright eerie as Scheaffer seems to be channeling the late virtuoso in both style and tone, leaving one remembering what is actually the better comparison, Jerry Garcia Band. Amen Corner has enough material to keep Railroad Earth’s fans twirling for hours on end during their jam-heavy live concerts. If you’re not yet familiar with Railroad Earth, it’s advisable to seek them out, but you may be more impressed if you start with their earlier work.